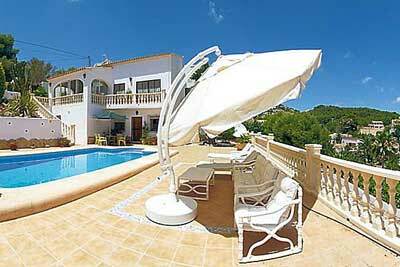 Murcia Spain with its about 300 000 inhabitants lies about 75 km south of Alicante about 30 km west of Torrevieja. The city of Murcia can be reached via the national road E15 from Alicante or using the C415 from the Madrid direction. You can also use the bus or train, but do not look for a Murcia airport, you might not find one. The mild climate with very little precipitation year round and the diversified ecological landscape draws you into an incredible state of well-being. The Mediterranean bathed region of Murcia, is not only known for its beautiful beaches, but also for a great number of natural beauties still to be discovered. 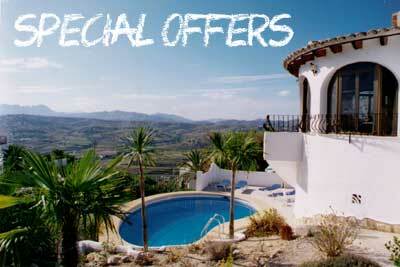 It is precisely its natural charms and contrasts that makes Murcia outstanding from other regions. Embedded in between parts of the mountains of the Sierra de Orihuela and the Cresta de Gallo lies Murcia, the city which is due to the large and sophisticated watering system, very famous for vegetables. La Manga has become one of the most important resort areas of what is called the ‘Costa Calida’ or the Warm Coast together with Torrevieja on the Costa Blanca. The Murcia region was first populated by the ancient Iberian tribes which started intense commercial relationships with the Phoenicians and Greeks, founding commercial factories on the coastal area. It is maybe thanks to this that its history has always been connected to seafaring activities and agriculture. It was a Carthaginian colony and then taken over by the Moors who graced this part of Spain with an advanced system of irrigation which has made Murcia’s crops famous world wide, even nowadays. This aspect has helped its gastronomy become very popular with a rich balanced Mediterranean diet in elaborating stews, salads, baked meat and rice dishes. But you must not forget that its closeness to the sea also gives it its rich culinary seafood delicacies. And what would be a Spanish meal without a good wine. As mentioned before, its fertile land is producing better wines every year and Murcia is becoming a strong competitor in this market. 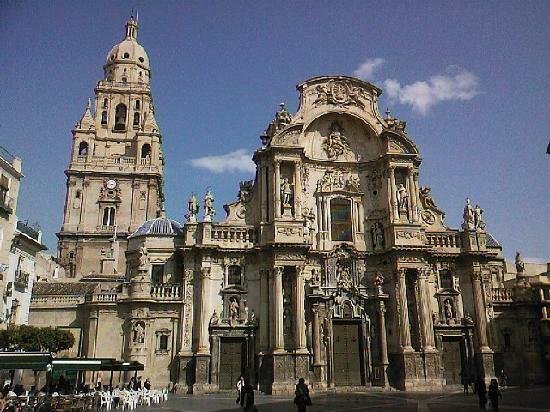 If you ever come to Murcia, please spend some time and discover the beauties of this fantastic building. The cathedral which is located at the plaza del Cardinal Belluga, got different entrance doors. All of them on their own a treasure. The main entrance, called puerta del perdon, the north door, portada de las cadenas and the portada de los apostoles lead you into the impressive capilla mayor decorated with lots of gold. When you took your tour around the cathedral of Murcia, make sure you visit the museum inside the cathedral, where many more details are explained. Right outside the Cathedral you will find the city hall and the Palacia Episcopal, the residency of the Bishop of Murcia. 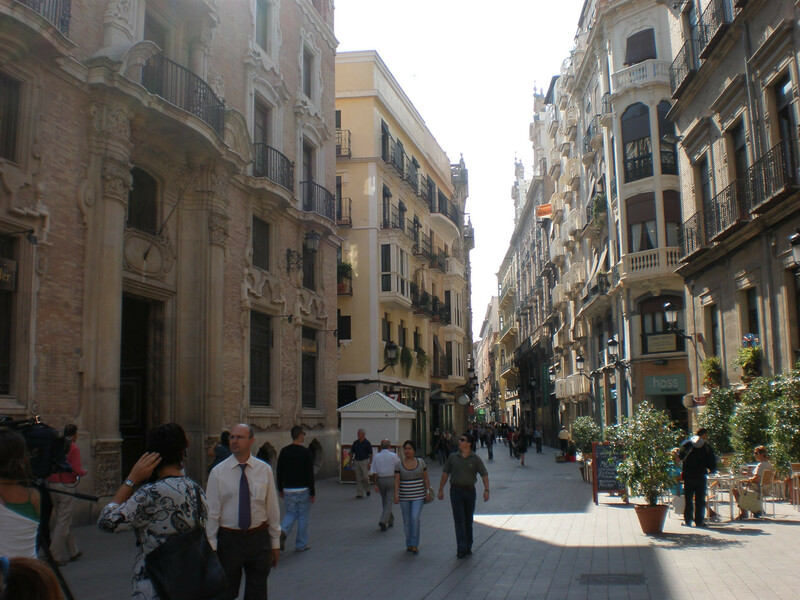 When I first visited the city I was overwhelmed by the amount of nice places along the streets. The variety of museums, from the archeological to the museum for water systems, to the museo de bellas Artes which shows art from Ballester and Gaya amongst others. 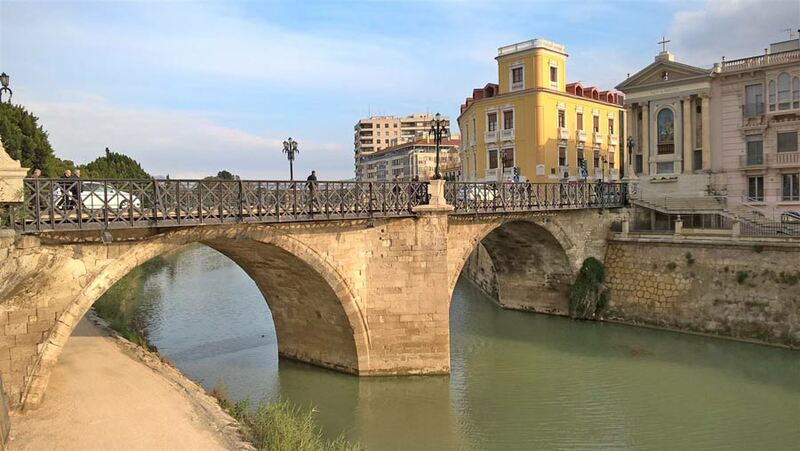 When visiting the Murcia region, I would recommend a visit to the capital of the region, Cartagena and Caravaca de la Cruz. Carthagena is a very historical city with an impressive Archaeological Museum which opens your eyes to the Iberian city of Mastia, which was the host home to different civilisations before it was converted into Cartago Nova, the settlement of the Romans and Carthaginians. Caravaca de la Cruz has a splendorous history, folklore and architecture which can be seen by just walking around the town and in more detail in the different museums which wrap up the essence of this land: all for the price of one. Since 1998, Caravaca shares a permanent Jubilee Year with Rome, Jeruselem, Santiago de Compostela and Santo Toribio of Liebana. The Municipal Archaeological Museum is found in what used to be the Church of Our Lady of Solitude with its arched columns embracing you from every side.